Winery Insurance - Customized coverages exclusively for wineries. 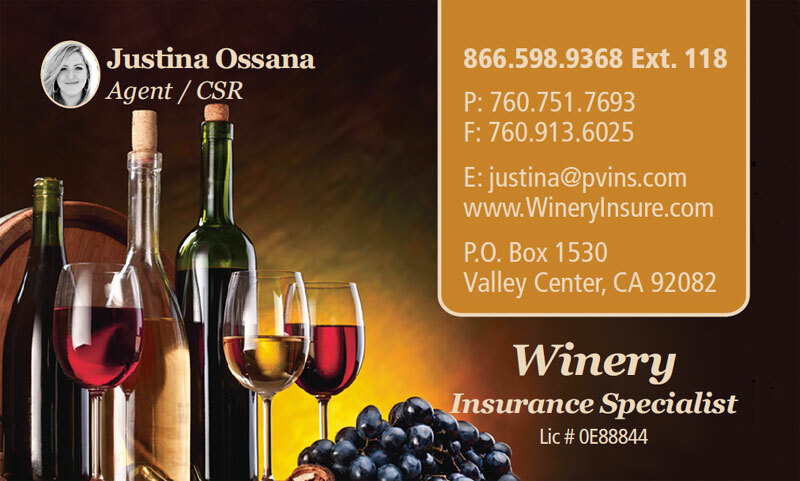 Winery Insurance from Pauma Valley Insurance Agency, Inc. 2013-2017© Serving California Vineyards. All Rights Reserved.